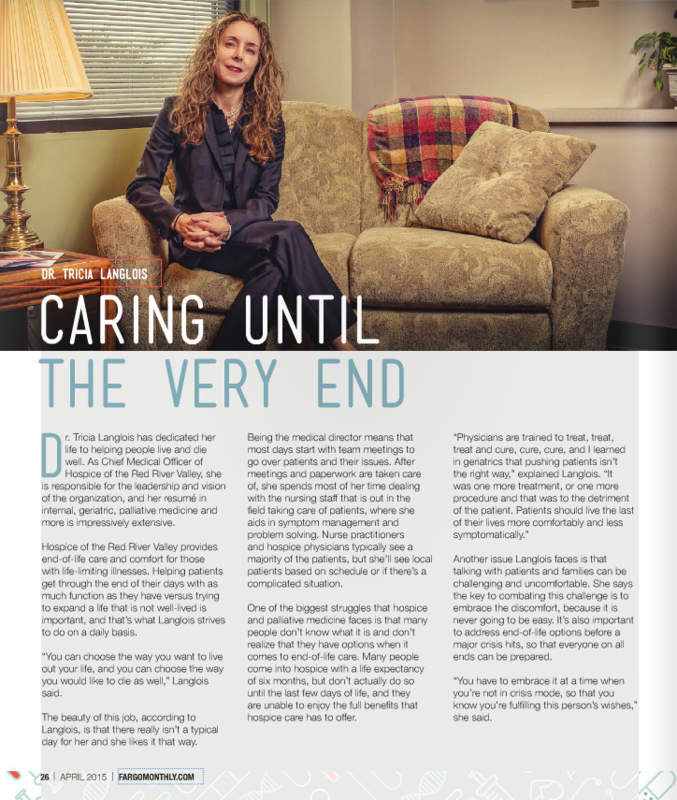 Hospice of the Red River Valley Medical Director Dr. Tricia Langlois is featured in the April issue of Fargo Monthly Magazine on stands now. 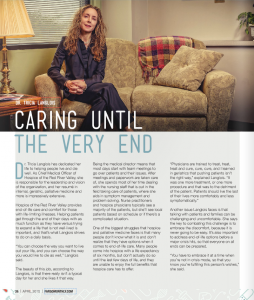 In the article, Dr. Langlois discusses end-of-life care, challenges of hospice and palliative medicine and what it means to be the medical director for a hospice. “You can choose the way you want to live out your life, and you can choose the way you would like to die as well,” Langlois said.